Sol Leisure - suppliers of snooker and pool equipment to Spain. 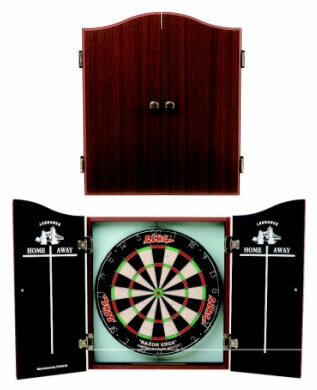 Deluxe easy to assemble dartboard cabinet, by Nodor. Incorperates score boards, antique finish self closing hinges and solid chipboard backing. Actual item(s) supplied may differ slightly from the picture.